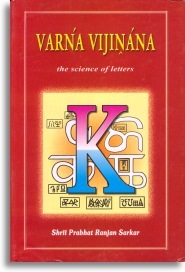 Varna Vijinana can be translated into English as “The Science of Letters.” However it can just as easily be rendered as “The Science of Language,” for in it the author binds the myriad and often mystifying threads of language into a single tapestry and demonstrates with remarkable clarity how they obey the laws of pure science. In a lucid and entertaining style, laced with anecdotes and stories, he uncovers the fundamental principles that govern linguistic expression and blends this with an historical perspective that throws new light on the origins of human language. Many of the ideas that inform these discourses are new to the study of linguistics and are sure to provide ample material for future research.